Katie Fraser's work in computational linguistics bridges artificial intelligence with health care. She and her startup colleagues at WinterLight Labs hope to improve Canadians’ lives with tools for the early detection of dementia. The PhD graduate is now being recognized with the Governor General’s Academic Gold Medal, one of the most prestigious awards for a Canadian graduate student, for the significance of her research and its impact on Canadian society. Fraser is one of a handful of Governor General’s gold medalists with ties to U of T. Doctoral graduates Brandon R. Sutherland, of the department of electrical & computer engineering, and Johanna Thoma, from the department of philosophy, are the other U of T winners. 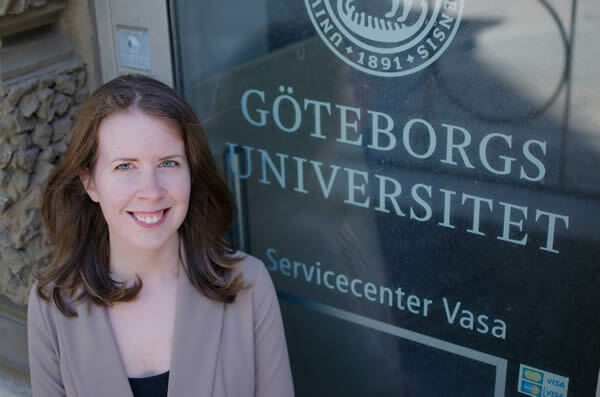 Fraser, who is now pursuing postdoctoral studies at the University of Gothenburg in Sweden, discussed what’s next in AI and health care and her best advice for graduate students. How does your research in computational linguistics relate to AI? Computational linguistics and machine learning are both subfields of artificial intelligence, along with things like computer vision, and knowledge representation and reasoning. Researchers in these fields often work together towards a common goal of building intelligent computer systems. In my research, I use natural language processing to pull out a lot of information about a person’s speech patterns. Then, I can use these speech variables to train machine learning classifiers to distinguish between people who have dementia, and those who don’t.